Paul McCartney's new double CD / DVD live set is culled from his 3-night stand to open New York City 's CitiField stadium this past summer. Having been lucky enough to catch a later date in Atlanta , I can tell you that this release isn't only for fans that caught the New York performances. This really could've been almost any night of the tour. While watching the DVD, I kept having flashbacks to my own night with Paul. It was great to relive such a wonderful experience and I believe that any fans that couldn't make it to an actual gig will enjoy seeing what they missed. The hits are what most of audience wants and they go on and on. The last 11-songs are one peak after another. First, it's easy to believe that Paul can't top “A Day In The Life / Give Peace A Chance” but not long after, you're singing along to “Hey Jude”. From the actual pyro of “Live And Let Die” to the figurative pyro of the explosive “Helter Skelter”, this show has it all. A final double shot of “Sgt. Pepper's Lonely Hearts Club Band” leading into “The End” is the perfect way to leave off. Who knows how many more years Paul and his amazing band can do this? “When I'm 64” is now past tense and the age of 70 is fast approaching for Sir Paul. If you get the chance to see him, go. If you don't, there's always Good Evening, New York City . Congratulations to Dave Beckner of Maryland, USA. 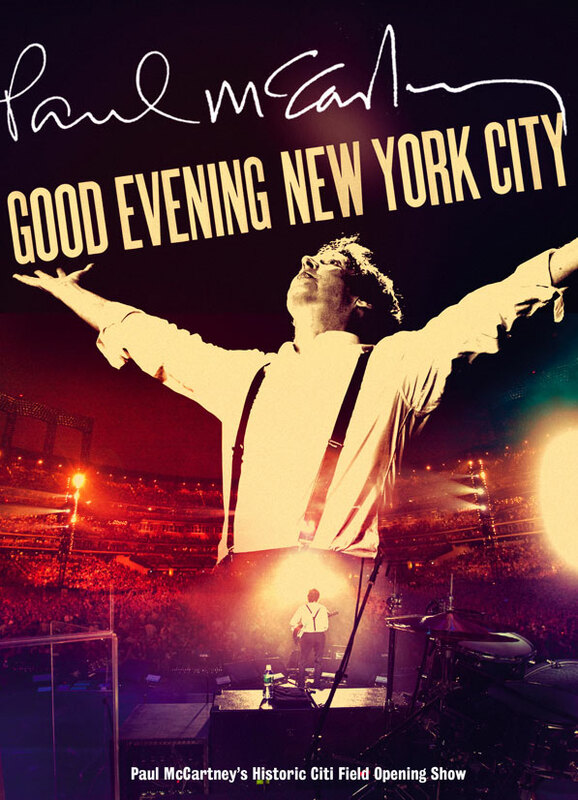 He won the deluxe editon of Good Evening New York City courtesy of Concert Shots, Hear Music and Paul McCartney. Dave won by playing our trivia challenge and coming in with the highest score and the best time. If you'd like to play the contest for fun (and see if you would've topped him), Play it by clicking here! You will need to be a member of Facebook and you will have to be logged in to play. Good luck! I hope we can have more contests like this soon. Check out "Live And Let Die" right here. Read the full review (with pics and video clips) from Paul McCartney's Atlanta show at Piedmont Park on August 15, 2009 by clicking here.